Best Bouzouki by Night (Greek Live Music): Romeo, Yton, Box. Bouzouki music is like listening to Greek guitar music. Best Greek Restaurants with Music: You will find many at Psirri area. 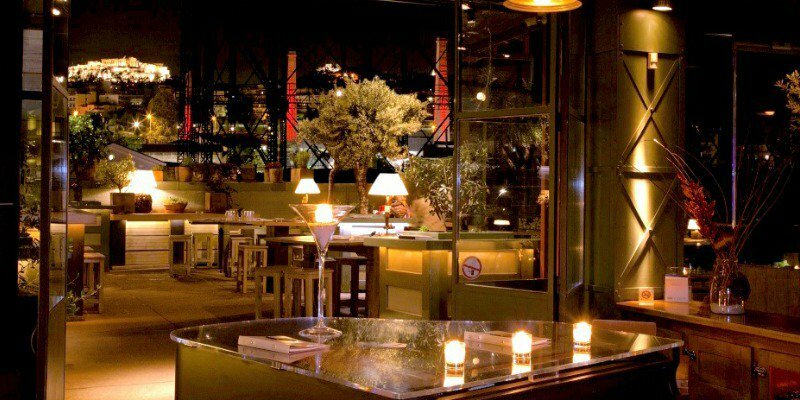 Best Kifissia Bars: Zabri is a great place to hang out in the evening in Kifissia area. Escobar is also a popular Mexican-style bar in Kefallari Square in Kifisia (less formal than Zabri). Famous Bouzouki Players in Athens: Nikolopoulos Christos is the most famous bouzouki player in Greece at this time. 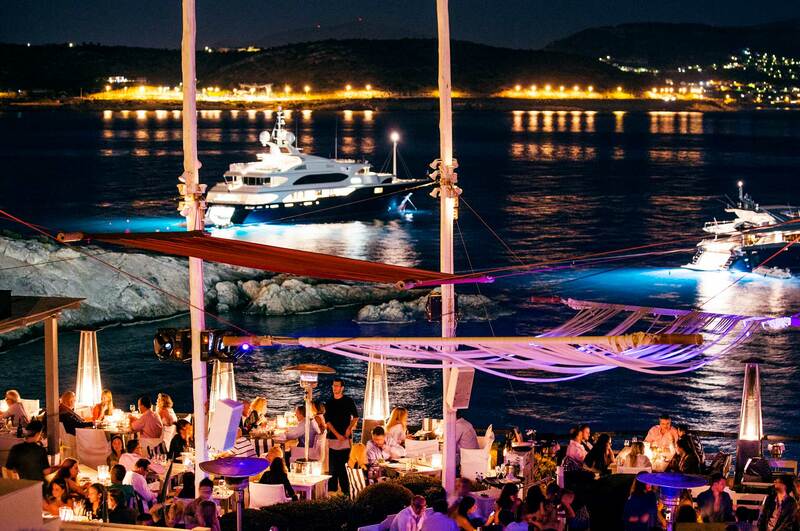 Athens is the best place to party in Greece, together with Mykonos, Ios and a couple of Islands. 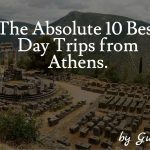 So, if you ask yourself where to party in Greece, Athens is a top choice, as the Athens clubs are top not only in Greece but maybe in all southern Europe. 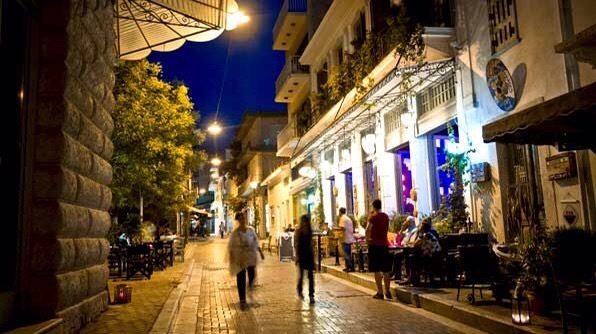 The main Athens nightlife area is around the city center: Syntagma, Gazi, Monastiraki, Thiseio, Gazi, and Kolonaki. 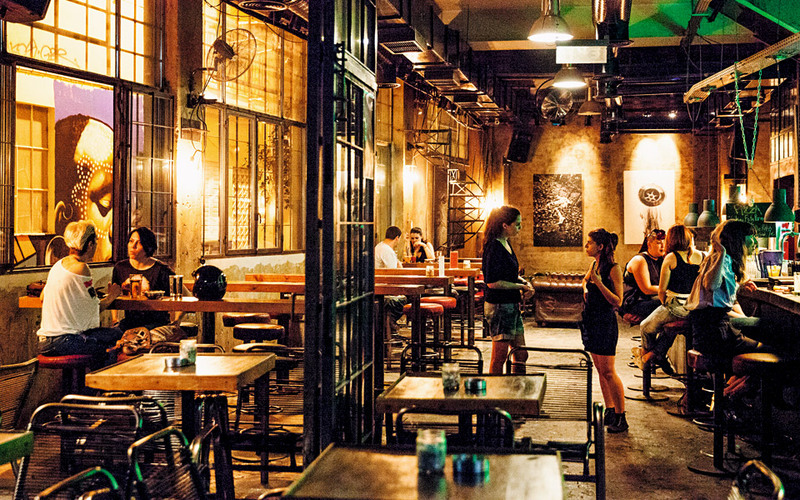 If you visit Athens from October to May and you are interested in nightclubs in Athens then Gazi is the place to go. Gazi area took its name from a Gas factory that exists in the middle of this area and was renovated to a modern cultural center, where concerts and expos take place. In the middle of Gazi, you can also find the metro station, which makes if very easy for people to arrive at the area. Gazi is full of bars, clubs, and restaurants, all in an area of around 1 square km, so it is easy to find the place that suits your taste. Usually, people start coming at Gazi in the afternoon to enjoy their coffee, before going to a bar around. Except for the weekends, when the area is packed with people from the early noon. If you are looking for an Athenian Greek Taverna, you will also find some interesting choices here. But, if you are looking for a Greek restaurant with music, you will have to go to Psyrri area. Some recommended places here are Gazi College (for coffee, light lunch, and beer; an easy going place with a lot of young people), Hoxton (artistic bar with an eastern London atmosphere), Gazi live (a music scene with live performances of Greek music where you can do bouzouki dancing or dance with the famous Greek music “syrtaki” sometimes), Gazarte (a bar which offers a great terrace with a view to Acropolis during the summer and hosts many live events). 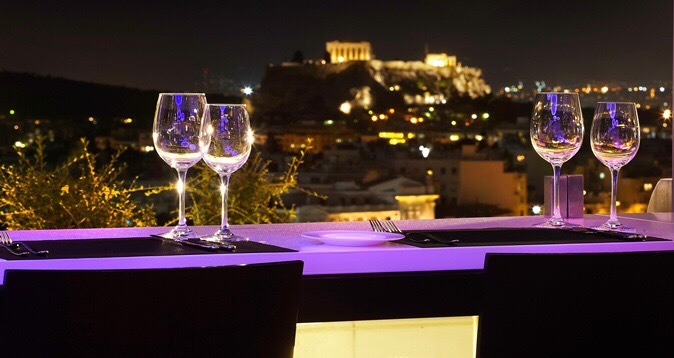 The terrace in Gazarte offers a great view to Acropolis. 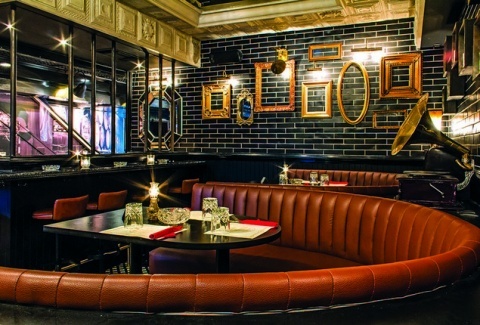 Hoxton Offers an Eastern London atmosphere with its industrial style and decoration. 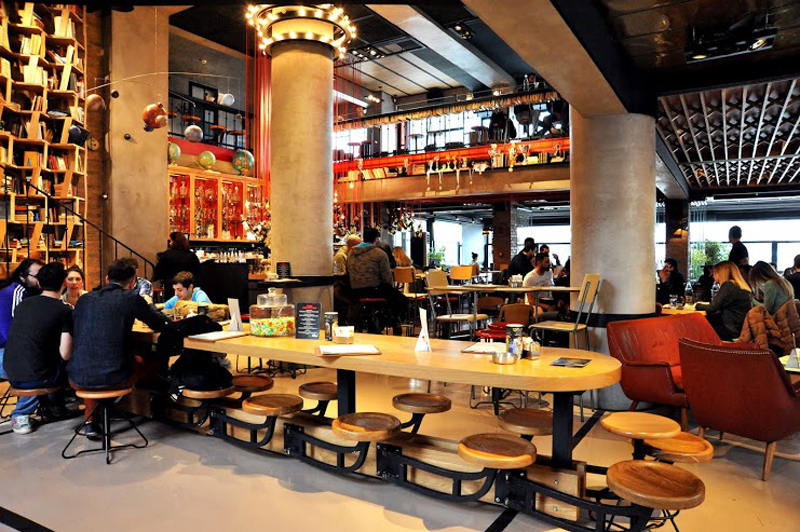 Gazi College is an easy going place to enjoy your drink or coffee with friends. You can also grab something light to eat. 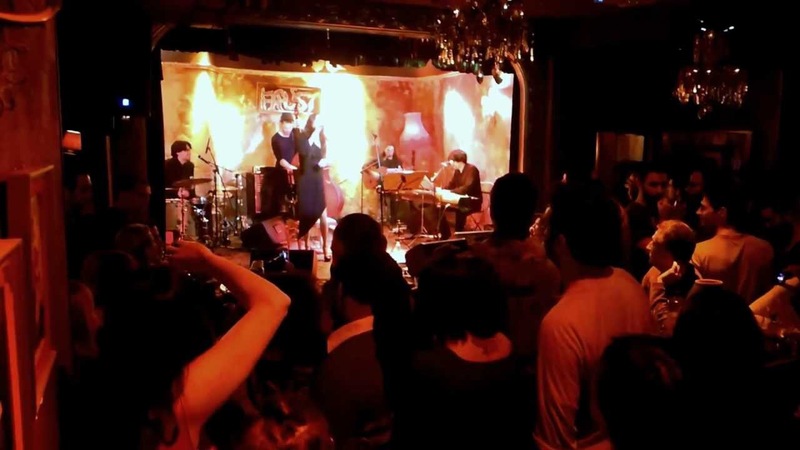 Gazi Live offers live music performances during the evening. Of course, you have to like the Greek music to enjoy this place. 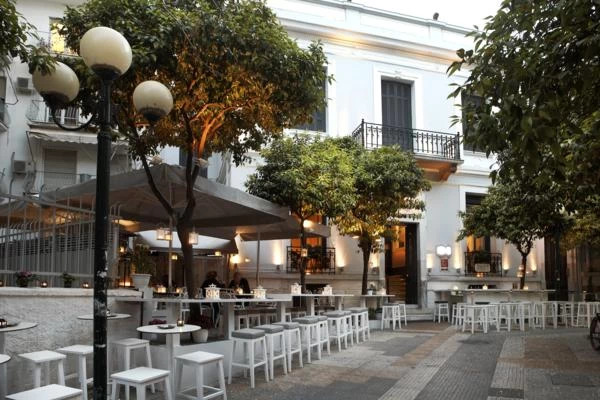 Kolonaki is the posh area of the center of Athens. It is an area that is 2 km away from the Syntagma square, which is the most central square of Athens. Kolonaki offers many bars and a few clubs and is more upscale (and expensive) than the area in Gazi. 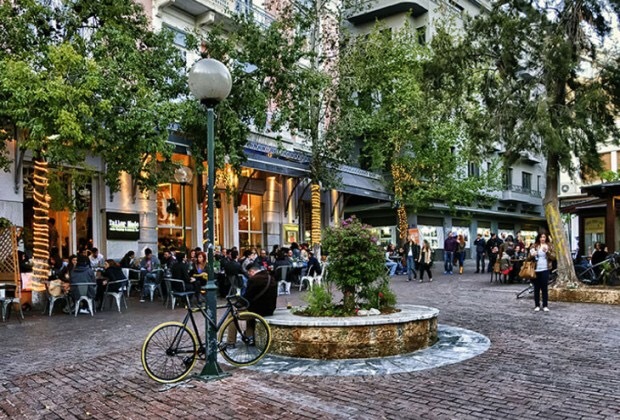 The central square of Kolonaki is called “Kolonaki Square, or Square of Filikis Etairias” and it is the starting place for your nightlife endeavors in Kolonaki. Bear in mind that a drink in Kolonaki costs around 8 euros, a beer costs around 5-6 euros and a coffee costs 4 euros, so it is not a cheap place to spend your night. 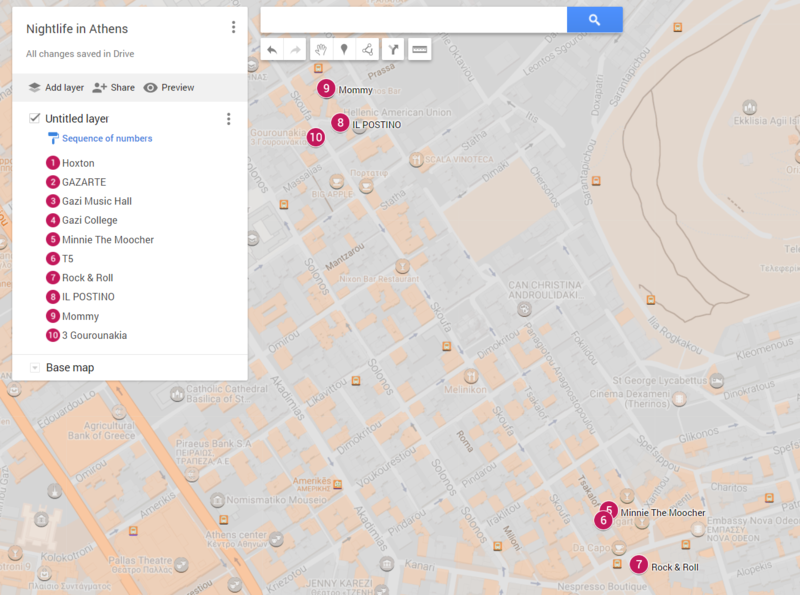 Some recommended places here are Minnie the Moocher at Tsakalof Street (you can come here at 19:00 and sit outside on the tables at Tsakalof Street, which is full of people, or grab a sit inside), 3 Gourounakia (at Skoufa street, a place to see and be seen), T5 (a popular hotspot again at Tsakalof Street and next to Minnie the Moocher), Il Postino (nice Italian restaurant), Rock’n’Roll (on the Square of Kolonaki, a legendary place which hosts great Sunday afternoon parties, with a posh atmosphere), and Mommy (nice bar to see and be seen but you need to walk 10 minutes from the central square of Kolonaki). Close to Kolonaki, you will also find the Hilton Hotel, which has a Great bar on the top, called “Galaxy” with an amazing view to Acropolis. It is expensive, as drinks cost more than 10 euros, yet it is an excellent choice for an easy going night out. From April to late September, there are several amazing beach clubs that operate in the Southern Suburbs of Athens, which are next to the sea. These clubs open around 23:00 and have parties until the early morning. They are probably the best beach clubs you can find in Europe, so you should pay a visit to one of them if you happen to be in Athens when the weather is sunny. Among the best ones you can find Island Lounge Club (which is unfortunately quite a few km away from Athens, yet you should pay a visit if you have a car), Akanthus (usually with Greek music and it has a restaurant, so you can dine and party afterwards), Pennarubia (https://www.facebook.com/penarrubialounge/) and Akrotiri (great beach nightclub with dance music and many young people). Island Club is a great restaurant and club. A little bit on the expensive side – yet it worth a visit. Akrotiri Club is a great nightclub to dance all night long, next to the beach. Akanthus Club hosts many Greek Night Parties and is often full of people. -If you go with a car, you will find that there is no parking place outside of these clubs – there are some persons employed by the clubs to whom you deliver the keys of your car and they park your car on the street. You usually have to tip them, or they charge you something like 5 euros for the service. 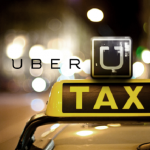 -We recommend that you get a taxi to visit these clubs. There are often alcohol tests outside of them and if you drink more than 2-3 drinks during the evening (especially on Fridays and Saturdays), you may have to pay a hefty fine. -There is a door control in these clubs. 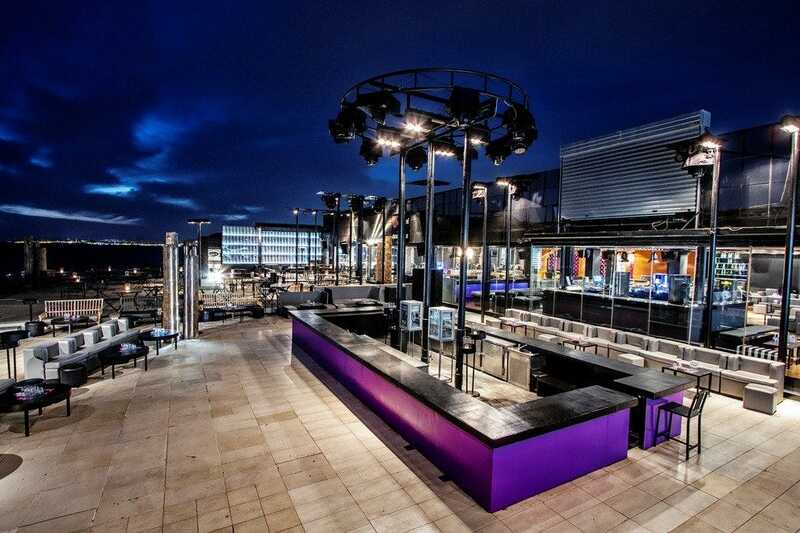 If you go there drunk or extremely underdressed, you may be denied to enter with the excuse that “the club is full of people and we cannot allow you to enter” or “you need a reservation”. -If you are a group of 4 people, you should better reserve a table before going. This means that you have to pay at least a bottle of alcoholic drink for 4 persons, which costs around 130 to 150 euros (so it is around 30-40 euros per person). If you are 6 persons, usually you have to reserve two tables and get 2 bottles (around 280 euros), or alternatively, you can get one bottle of spirit and one bottle of wine (which is regularly for 2 people). If you are just a couple, do a reservation, asking for a bottle of wine for two (around 70 euros). -Is there an Entrance Fee in These Nightclubs? Yes, there is usually an entrance fee of 10 or 15 euros per person. If you have made a reservation for a bottle, these are included in the price you pay for the bottle, so you don’t have to pay it again. 4. 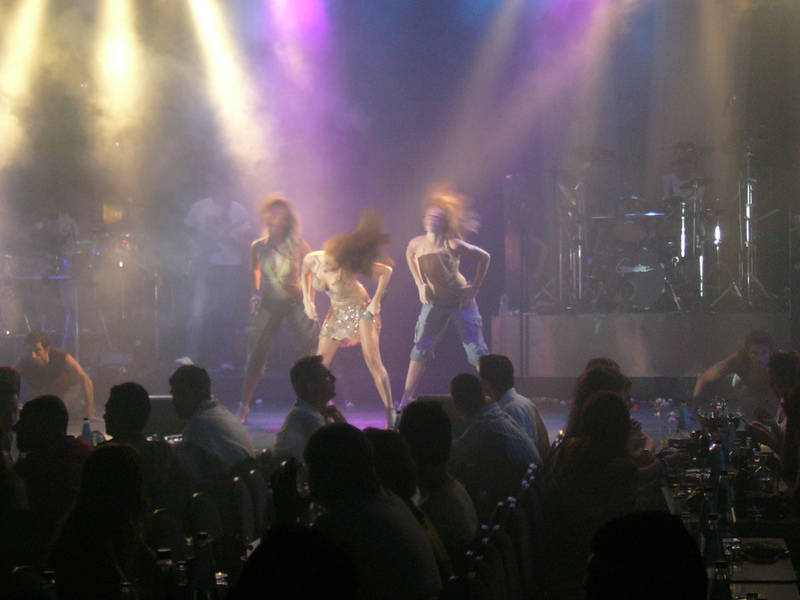 Nightlife in Athens with Greek Music live Performance, called “Bouzoukia”. Bouzouki is a Greek traditional musical instrument which has become the synonym of “having fun the Greek way”. So, all the nightclubs that have live Greek music are usually called “Bouzoukia”. The expression in Greek is “let’s go to Bouzoukia this night”. At Bouzoukia, you can find famous Greek singers giving live performances and shows and many fans throwing flowers to them, dancing on the tables and having fun the Greek way. It might be a little strange or “too much” to your eyes, yet you should experience this once in your life. You will either love it or hate it. The most popular Greek singers are Anna Vissi (singing usually at Romeo Club), Nikos Vertis (singing at Yton – he has a lot of women in his fan club! ), Melisses and Onirama (two Greek bands on the “pop side” with a lot of young people being fans), and Argyros. All these artists are not considered to be “eclectic, cultured (sic) music singers, but mainstream ones. If you want to listen to a more eclectic Greek singer, with no flowers, dancing on the table, of course, you can try for Tsaligopoulou, Haris Alexiou, Sokratis Malamas, Thanasis Papakonstantinou, Alkinoos Ioannidis, George Dalaras, Stamatis Kraounakis and Eleonora Zouganeli. Some of them do only big concerts in a stadium, some others are singing in clubs so just do a google search and find out about them. 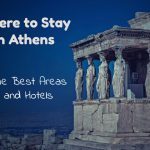 If you happen to stay in the Northern suburbs of Athens, such as in Marousi, Halandri or Kifisia, you should know that you are not in the epicenter of the nightlife, yet it is not completely boring… Actually, in the Northern suburbs of Athens, there are three areas that worth a visit: Halandri, Kifisia and Nea Erythraia. Halandri has become quite popular after the start of the economic crisis in Greece, in 2007. 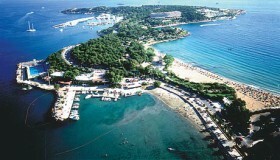 The reason was that inhabitants of the Northern suburbs of Athens found it more expensive. to drive and park their cars downtown, so they started to go out closer to their area. More and more bars and restaurants started to open in Halandri and at the moment it has many places to go for a coffee or drink. You will not find mega clubs here. A very popular bar in Halandri is “Theory” where you can grab a burger, drink coffee or get a drink, while people watching. Kifisia has always been popular among the inhabitants of the Northern suburbs. 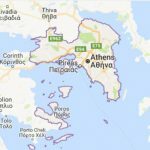 Bear in mind that the North of Athens was traditionally the area where the richest Athenians were staying so Kifisia is a little bit of a posh area. 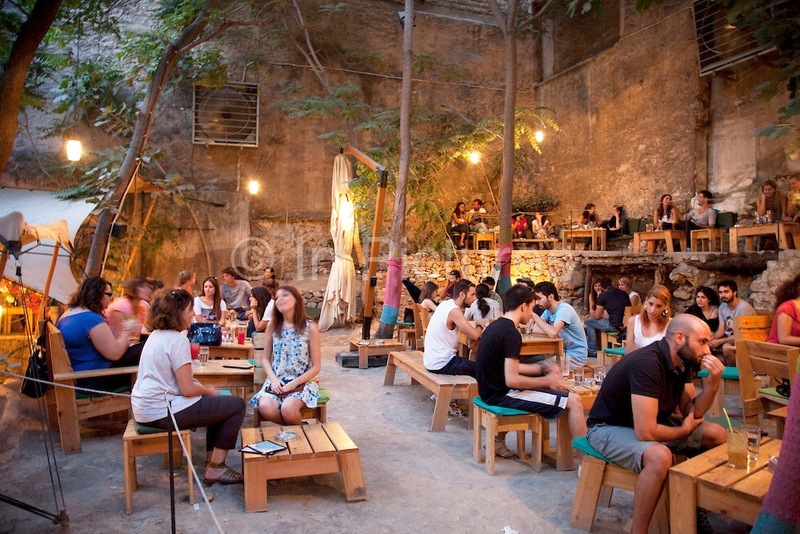 If you are a hipster, go to the center of Athens, not in Kifisia. Peter, Monastiraki, and Thisseio are three areas close to each other, and you can easily walk from one to another. They are all frequented by tourists. Psyrri has many Greek restaurants with live music and many bars. 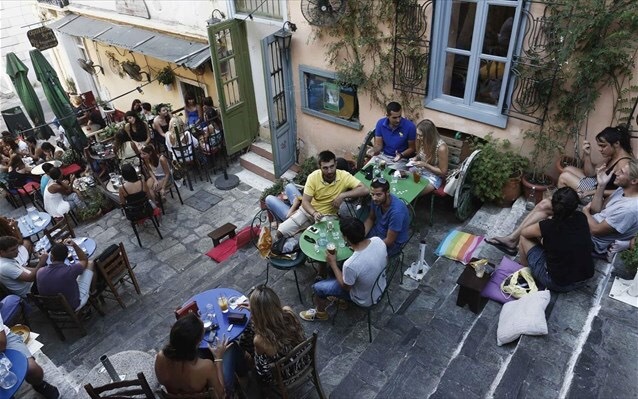 At Psyrri when the weather permits it, you will find many people drinking a beer on small tables on the road, as most places have an outside sitting. Six d.o.g.s is a hipster bar in this area with a nice garden, which serves cocktails and beers in a relaxed atmosphere. The area that has become the most visited one in the center of Athens is Plateia Arias Eirinis, a square with a beautiful church in the center of Athens. You will find many cafes and bars in the square. Faust is a nice bar here which often has live rock performances. Plateia Arias Forum has quite a few bars with outside seating. 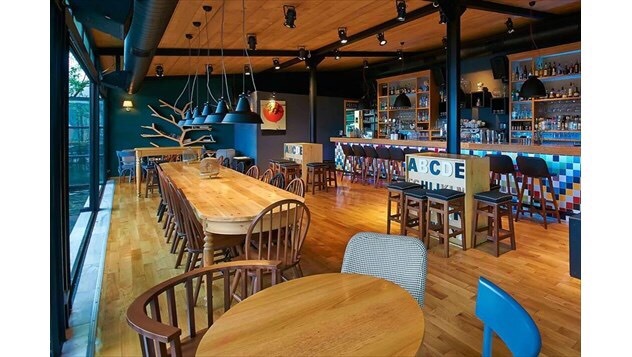 Tailor Made is a nice bar with an industrial design here. Exarheia is an area close to the city center which is regarded as the most underground area in Athens. A lot of anarchists live here and all the protests in the city start and finish here, sometimes with violence. This is the “revolutionary” area of Athens. Generally, the place is safe, except for the days of the protests that you should avoid this area. The ambiance is cool. and you will find Amit of young people drinking at bars. The prices of the drinks here are pretty lower compared to Kolonaki, Glyfada, and Kifisia. There are also some nice restaurants in the area.